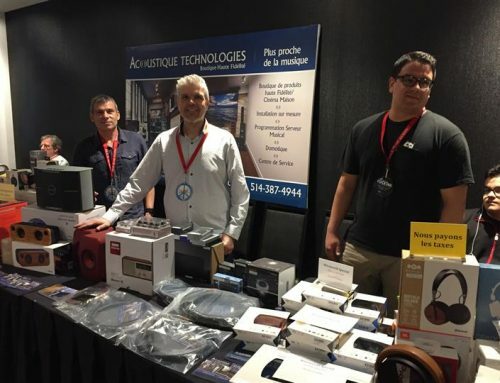 Editor’s note: Welcome to Part 3 of our Montreal Audio Fest show coverage. If you’ve missed the previous parts of this article, you can read them here: Part 1, Part 2 and Part 3. 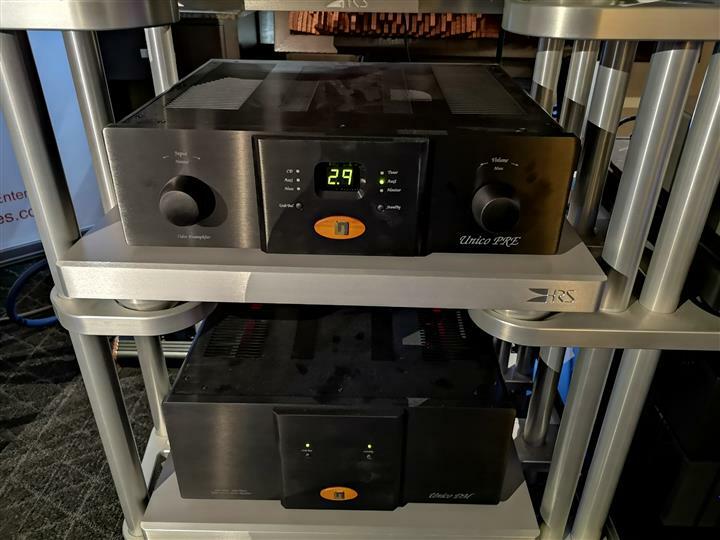 My tour of the Montreal show continued with visits to three rooms of one of Canada’s largest high-end audio distributor – Tri-Cell Enterprises. 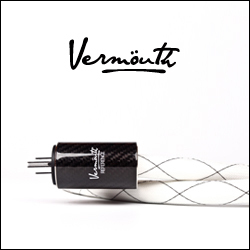 It is always interesting to see what Vince Scalzitti and his team are demonstrating, and this year the company introduced several European brands into the Canadian market. 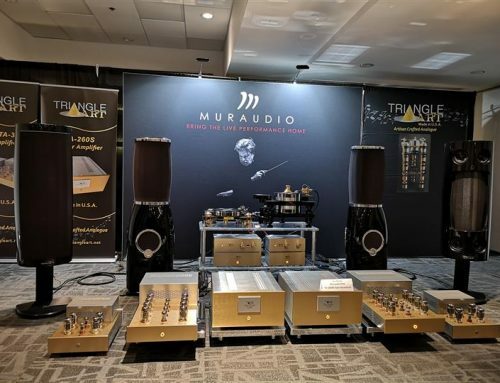 This room featured Greek horn speakers called the Tune Audio Marvel ($23,000 CAD) driven by a THORESS F2A11 tube integrated amplifier ($11,300 CAD). 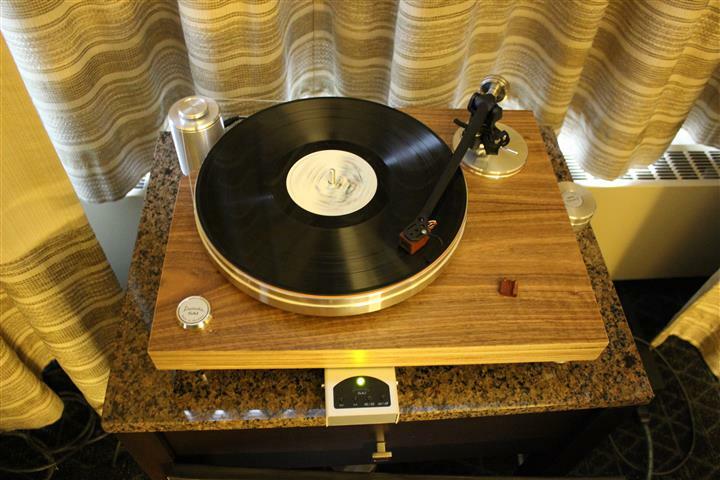 The analog source here was an Acoustic Solid – Solid Classic Wood MPX Midi Xtended Version turntable equipped with a WTB-370 tonearm ($2,880 CAD). 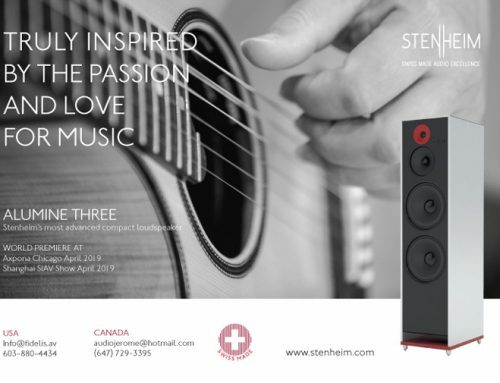 Tune Audio Prime speakers ($12,000 CAD) were also on static display. 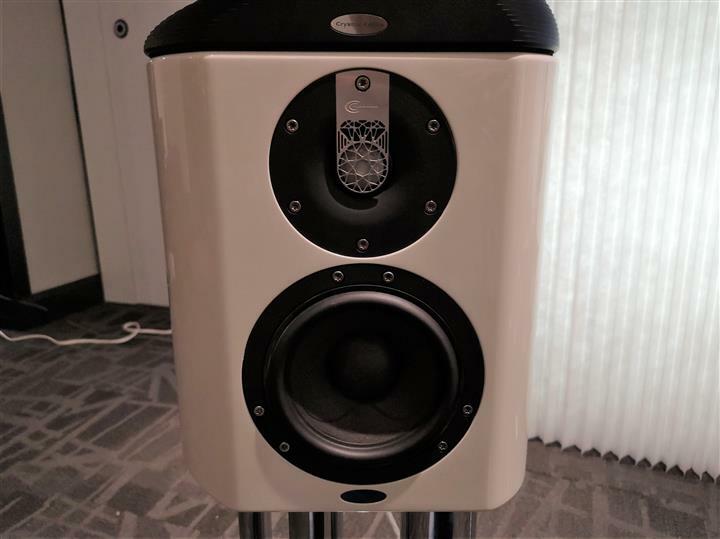 The Marvels are very interesting looking speakers that offer a two way design. 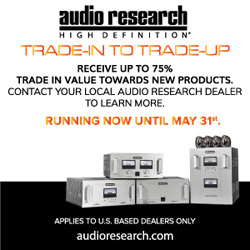 Each cabinet houses a back loaded bass horn, which loads a wide range 8″ driver. The bass horn, constructed out of grade A, 13 layer Baltic birch plywood, fires toward the floor. 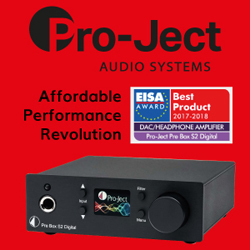 The mid frequencies are produced by the mid-range driver, while the high frequencies are handled by a proprietary epoxy compound tractrix horn. 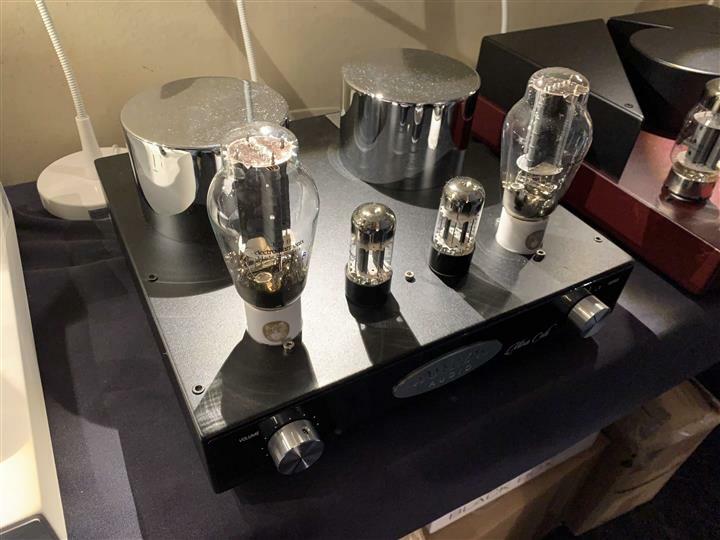 The THORESS F2A11 integrated amplifier is very familiar to me, as I had the pleasure of using it in my home system last summer. 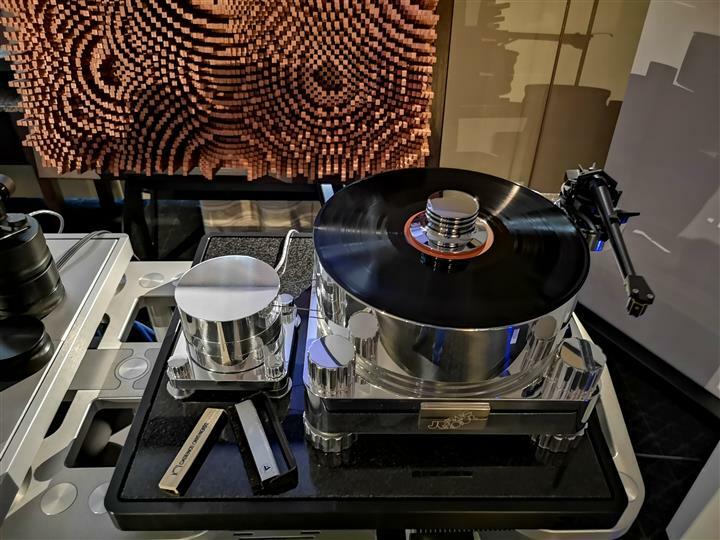 It is a unique looking machine that produces unbelievable holographic images when playing jazz and vocal tracks. The THORESS simply begs to be paired with horn speakers, so the Marvels were a perfect match. The sound was warm and lush, but with plenty of details. I heard a solid bottom end, holographic images, and a wide and deep sound stage. 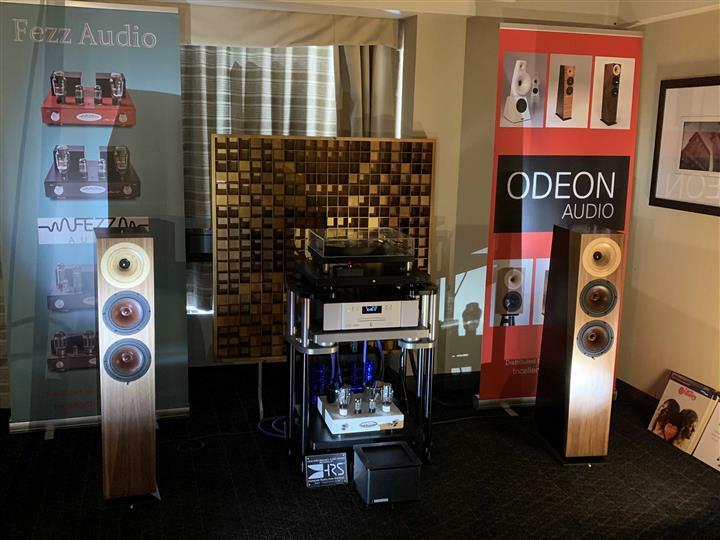 Yet another debut at the show were the Odeon Audio Scala horn speakers ($11,800 CAD) from Germany, driven by a Fezz Audio Mira Ceti Integrated Amplifier – ($3,500 CAD). 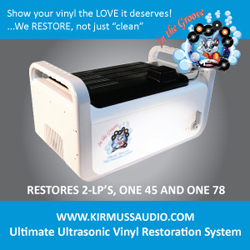 A Unison Research CD UNO CD player ($3,120 CAD) was used as the source here. 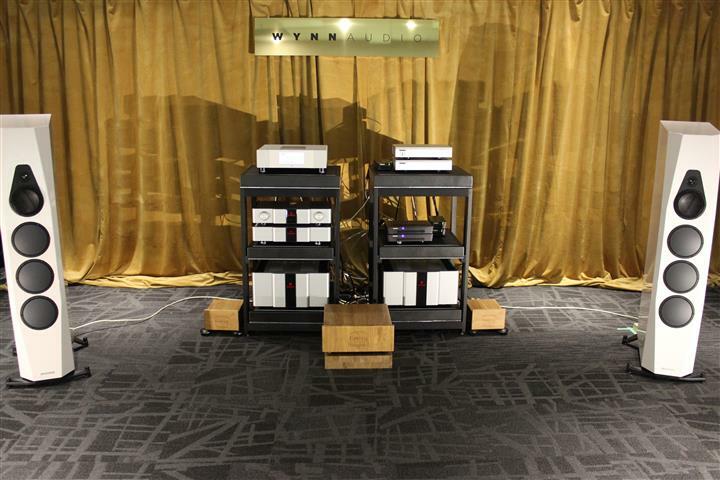 Also – take a look at the beautiful Acoustic Manufacture Diffuser Skyscraper ($3,170) behind the audio rack. This is a diffuser panel made in Poland, designed to improve the acoustics of your room. The company offers lots of different attractive designs and sizes. This was another impressive sounding system, which I enjoyed very much. 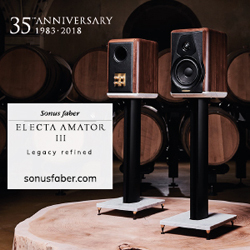 The Scalas are high-efficiency two-way speakers, rated at 93 dB, which means that you don’t need a lot of power to driver them. 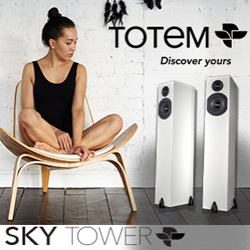 The silk tweeter in the horn provided a dynamic reproduction and extremely fine resolution. 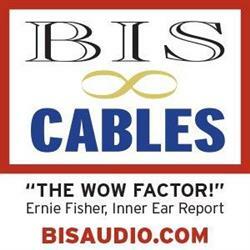 The woofers made of Woodfiber, gave the bass range a very deep and clean tone. 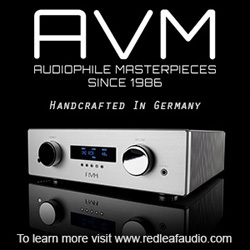 Fezz Audio of Poland produce very affordable and very good sounding tube amplifiers that are definitely worth checking out. 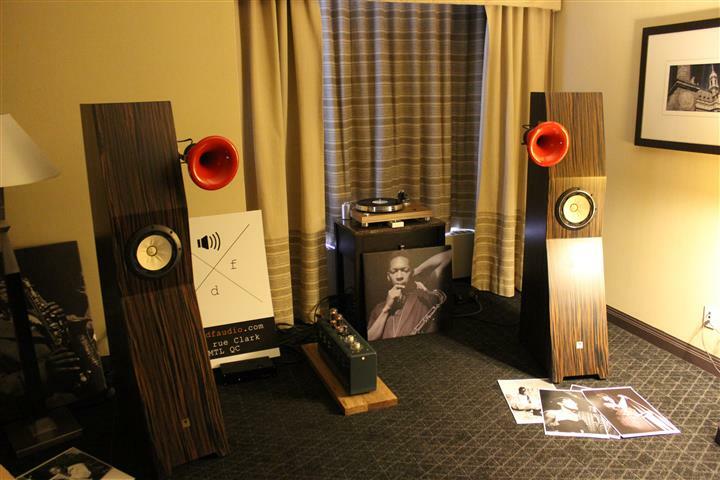 The Mira Ceti model matched really well with the speakers in this room. 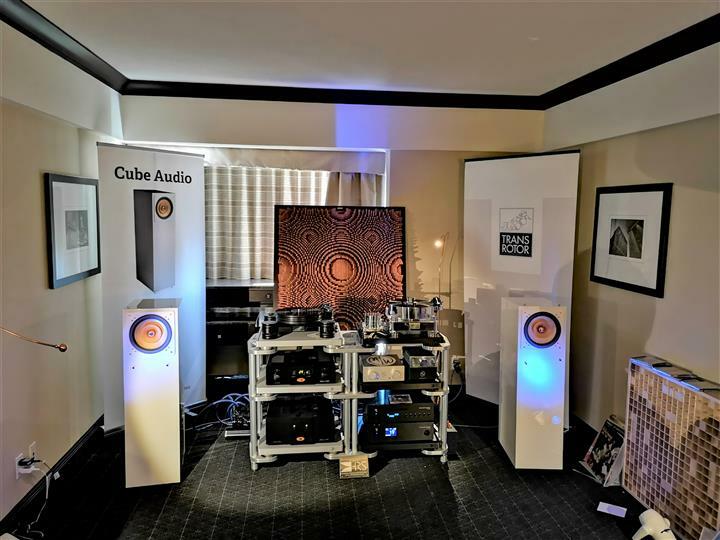 Debuting in this room were the single driver Cube Audio Nenuphar speakers from Poland ($18,900 CAD), based on the design of the company’s more expensive Cube Audio F10 Neo full-range speakers. 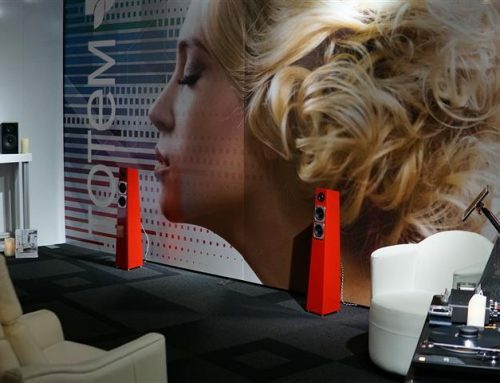 Combined with a very effective TQWT enclosure these speakers produced a very natural sound that was transparent and musical. 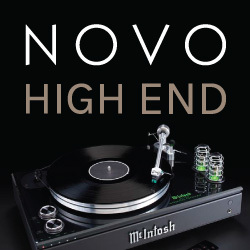 The analog sources presented in this room included two gorgeous Transrotor turntables – the Dark Star with the TR-800s tonearm & Konstant Eins power supply ($5,545 CAD) and the Massimo turntable with the SME V 9” tonearm & 2 motors / 2 belts with a Konstant FMD power supply ($22,230 CAD). 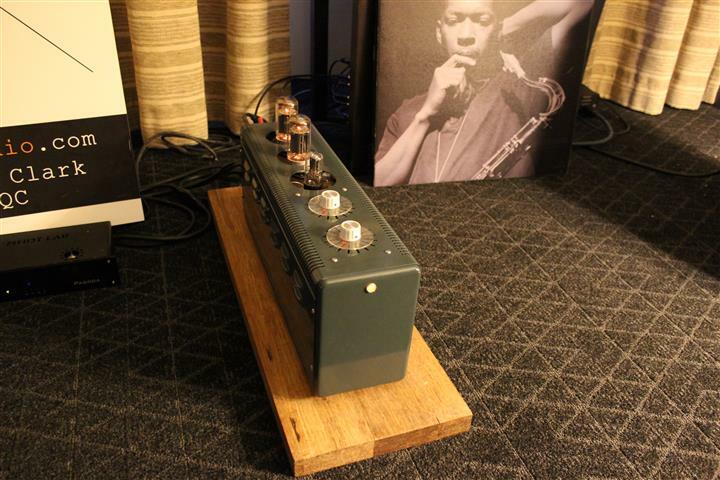 There was also a Modwright Instruments PH9.0 phono stage ($4,000 CAD) in the setup. 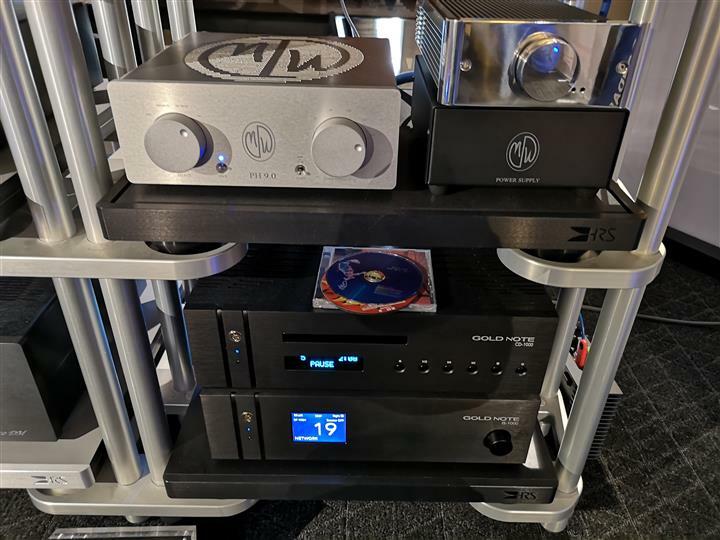 The amplification was provided in rotation by either the Unison Research Unico PRE preamp ($4,070 CAD) / Unico DM power amp ($5,435 CAD) or by the Gold Note IS-1000 Super integrated amplifier ($6,585 CAD). 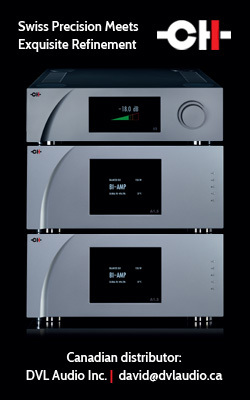 The digital source was a Gold Note CD-1000 MKII CD Player ($6,000 CAD). Gramophone distribution out of Calgary had probably the most minimalistic exhibit at the show. But the sound in their room was anything but minimalistic. 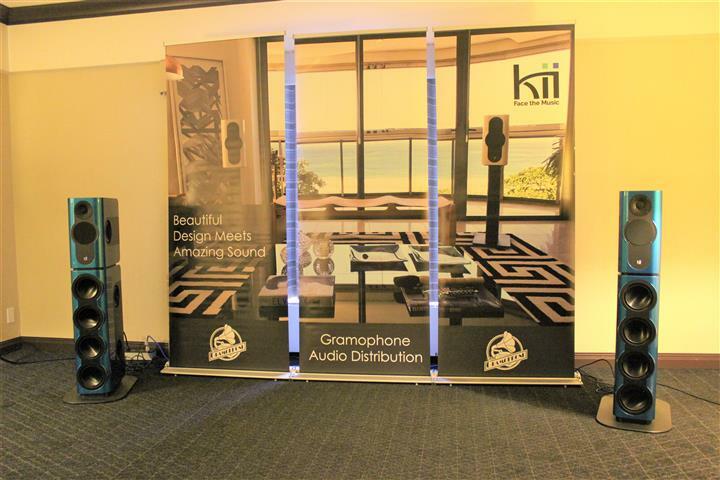 They featured the amazing Kii Audio Three BXT fully active speaker system ($50,000 with bass modules). 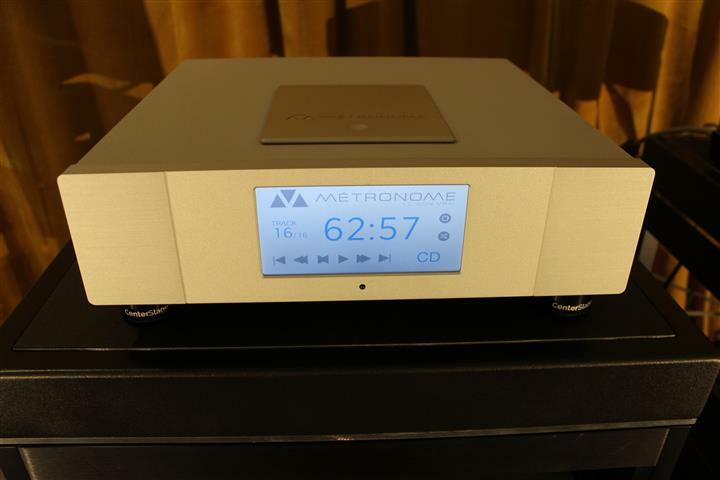 The digital source was Melco’s N1AV2 Music Library ($2,995). 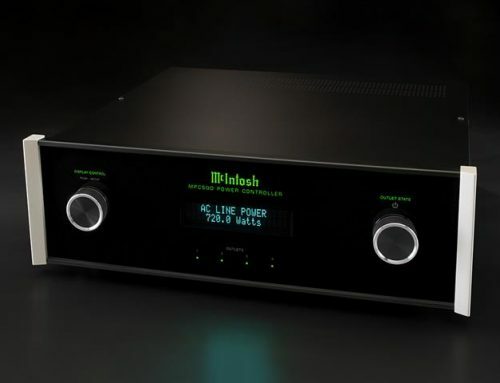 During the demonstration, the bass modules were turned off to show just how powerful the Kii Audio’s own bass performance is. 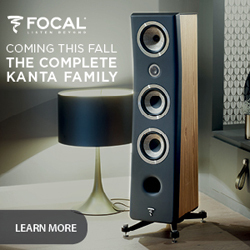 It rivaled that of many floor-standing speakers. But with the BXT it went beyond that. 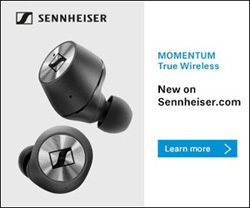 What I heard here was a tight, textured, deep and well controlled bass that did not interfere with the mids and highs. I really enjoyed listening to “Diggin’ On James Brown” by the Tower of Power. 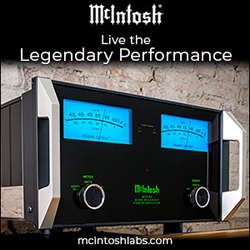 Despite the small speaker size, this system produced a remarkably full and rich sound that was transparent and extended in both low and high frequencies. 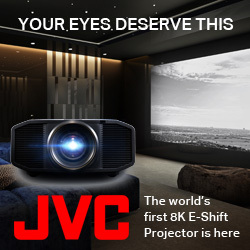 The midrange was smooth, and the images sounded three-dimensional within the sound stage. The CD player was playing Crystal Cable’s own compilation CD called Arabesque, which featured one track of Gabi herself (who is an accomplished pianist) playing Chopin’s “Berceuse Op.57”. The was a highly enjoyable performance, as was my conversation with Gabi. This was another room where I spent a considerable amount of time sitting down and listening to music. One track that particularly stood out to me was Oscar Peterson’s “My One and Only Love”. In the middle of the track, I got up from my seat and walked close to the equipment racks to take a closer look. As I was standing in front of the racks, the speakers were on the left and ride side, but a bit behind me. Yet I still heard every instrument very clearly and in fact felt as if I was standing on stage with the musicians all around me. 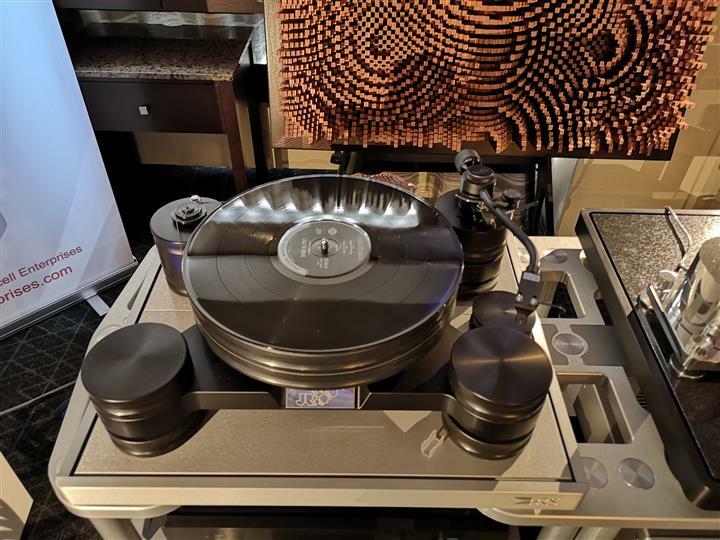 This kind of three-dimensional imaging effect is very impressive and clearly something that the Vimberg speakers can produce when paired with the right components and cables. In this case, the perfect ingredients were amplification from Karan and wiring from Crystal Cable, as well the Metronome CD player. Needless to say, this was another “best of show” exhibit with amazing performance, which I really enjoyed.